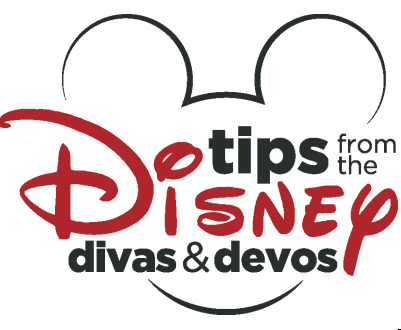 Hello Disney 2019 Military Discounts! It’s nice to see you again!! Has it really been a year already? It sure has! The seasons have come and gone. 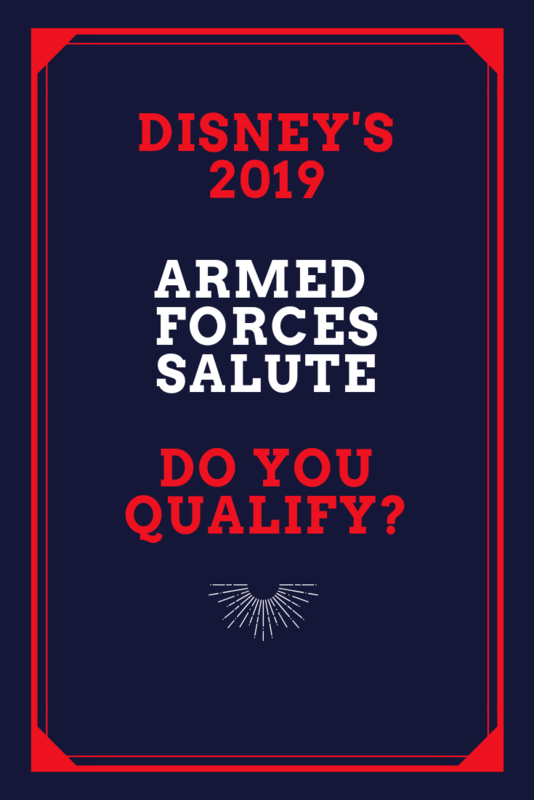 And the Disney Travel Co has announced the 2019 Armed Forces Salute. The Disney Travel Co salutes Active, Reserve, Guard, Retired and Disabled members of our Military. 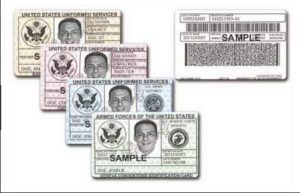 You are eligible if you have a white CAC-Active Duty id, green Active Duty Service id, blue Military Retired id, pink Retired Reserve/National Guard id, or tan 100% disabled/Medal of Honor/Spouse id. 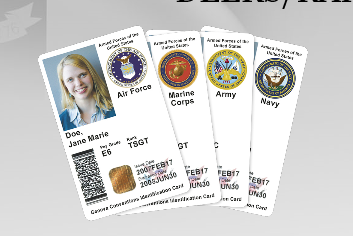 Permanently disabled veterans must have DAVPRM on their id. 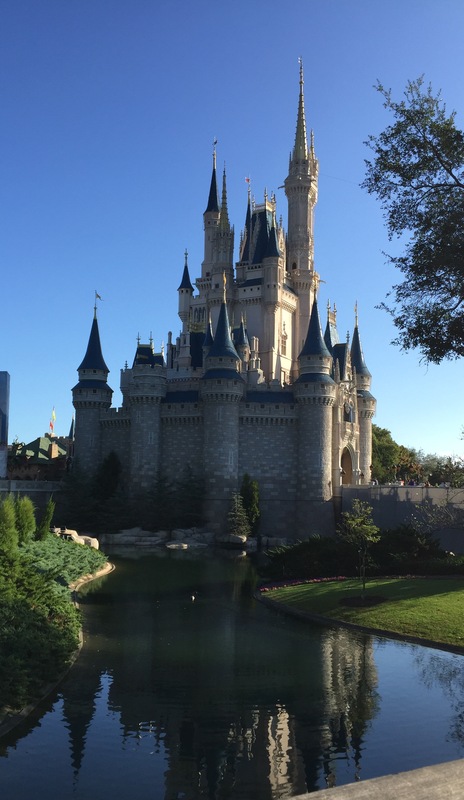 Make your visit to Cinderella Castle in Walt Disney World more affordable with a 2019 Armed Forces Salute Discount. 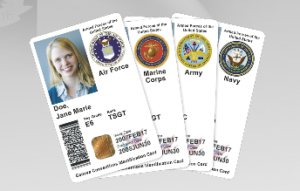 Eligible service members or their spouses (not both) are allowed to purchase up to (6) tickets for use in 2019. One ticket is meant to be used by the active member, five tickets are then available for their family and/or friends traveling with them. Additionally, families with more than (6) immediate family members may purchase the amount of tickets necessary to accommodate their family. These additions are for the active member, spouse and children only. You cannot get more than (6) tickets, using them for grandparents, other family members or friends. The 4-day Military Ticket must be purchased by December 16, 2019. The 5-day Military Ticket must be purchased by December 15, 2019. All promotional tickets must be used by December 19, 2019 or will be forfeited. Service members or their spouse can book up to (3) rooms at a time, with significant discounts. These typically offer greater savings than any other type of Disney discount, must be called in to book, can be used more than once and can include Disney Dining Plans! To book, call the Disney Travel Company at (407) 939-4249 or contact All for Dreams Travel for help finding and applying this discount. Guests visiting Disney World may also purchase Disney World’s Memory Maker from any guest services window for a discounted rate of $98. Offers a significant discount over Disney World’s Memory Maker without the (or availability) to purchase in advance! Service member’s have three options when it comes to purchasing Disney World Armed Forces Salute Tickets. Purchase in person or via phone from your local base. You will be given a voucher that can be linked to a “myDisneyexperience” account. This is vital for planning Fast Passes in advance. However, note that the voucher must be activated at Disney World’s Guest Services booth prior to entering any parks. Purchase from Shades of Green on Walt Disney World’s ticket office. Contact SOG via email and they will guide you through the process of verifying your id, making the purchase and paying shipping costs. They will mail you ACTIVATED TICKETS…no need to spend time at Guest Services! Purchase from a Disney World ticketing booth. You will instantly receive activated tickets, but you will also pay tax on your purchase. *My recommendation…purchase from Shades of Green, allowing at least 10 days prior to Fast Pass scheduling to allow for processing and shipping. 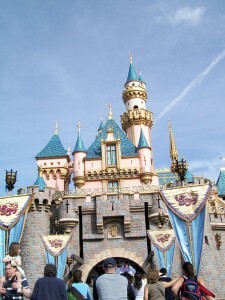 Sleeping Beauty’s castle, personally designed by Walt and a Military Discount! 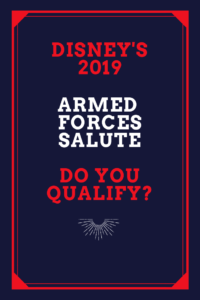 At this time, Disneyland has not offered any information on 2019 Armed Forces Salute Ticket renewals. We will update you as soon as we hear any news! 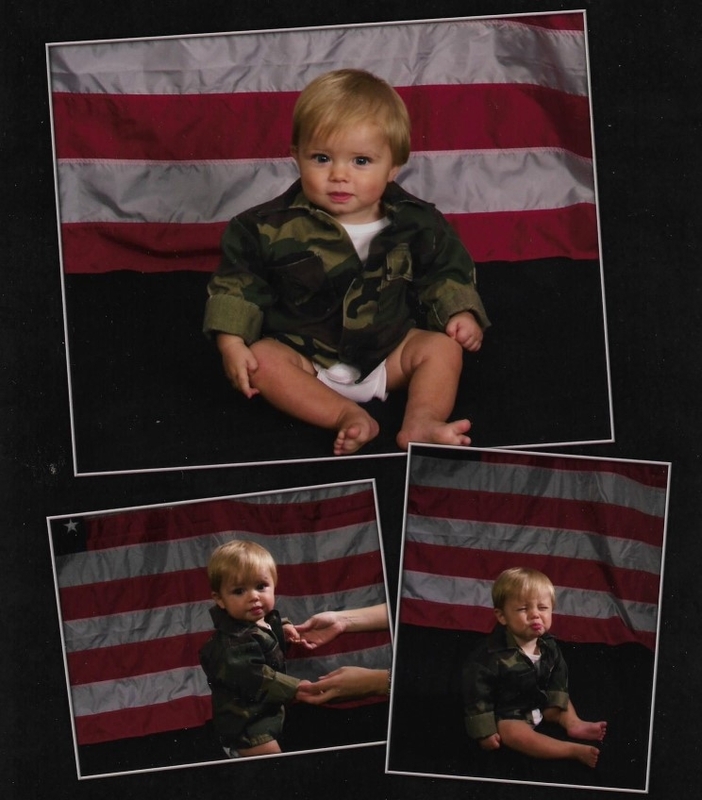 The Disneyland Armed Forces Room Discount is similar to Disney World’s offer in terms of eligibility and booking. Service members or their spouses can book (2) rooms per visit in Disneyland, offer significant savings over almost all other offers and must be called in to book. Phone (714) 956-6425 or contact All for Dreams Travel to book your Disneyland Armed Forces Salute Room discount. No mid year blackout dates apply. Rooms must be booked by December 19, 2019. Travel must end by December 20, 2019. As mentioned, there is currently no word on Disneyland Armed Forces Salute tickets. Keep checking here for updates. We will post any new information as soon as we have it! Are you ready to start planning your magical vacation, but you aren’t sure where to start? Contact our recommended travel agent, Patricia at All Dreams for Travel, and she can do all the work for you. Best of all, all of her services are FREE, all you have to do is click here to request a quote! 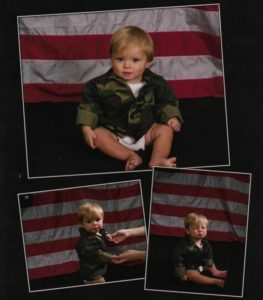 Disney Armed Forces Salute 2017 Announcement! The 2018 Disney Military Discounts Have Been Announced!! Salute and Thanks to the Disney Travel Company. Hi! My name is Patricia and I like all our other writers have a soft spot for Disney. Disney World is my particular go to vacation spot. Haven't found any other place in the world where I can take four kids of varying ages and have them all fed and entertained at once!